Join us under the sea! 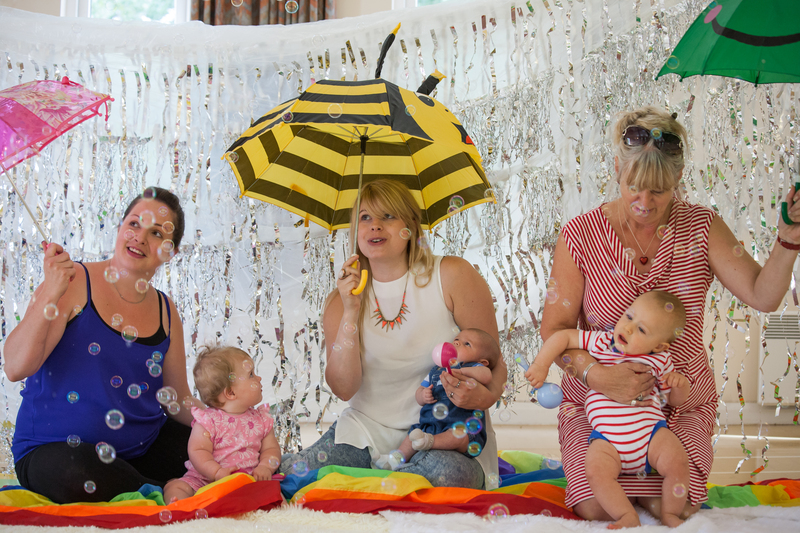 Baby Sensory was the first (and original) baby programme to offer a complete approach to learning and sensory development from birth to 13 months. 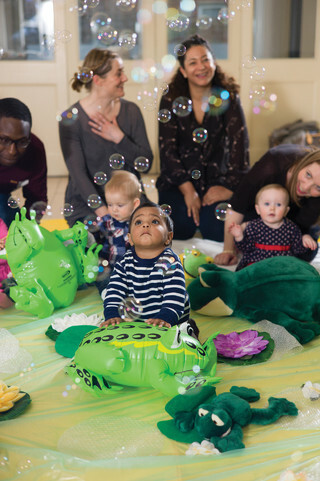 Designed to stimulate, educate and provide precious memories during the all-important first year of life, Baby Sensory has won multiple awards both nationally and internationally since 2008. Baby Sensory, Toddler Sense and Baby Sensory Foundations founder, Dr. Lin Day (PhD., M. Phil., PGCE., FETC., BSc., Dip Ed.) 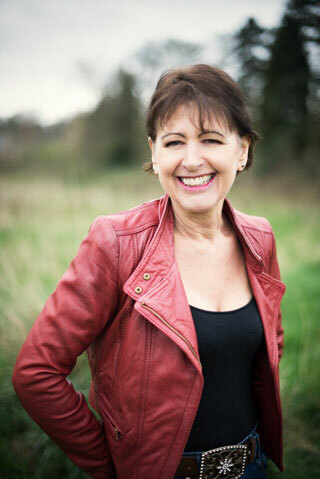 is one of the UK's leading parenting experts. We're proud to say that Baby Sensory is backed by over 35 years of research in childhood learning and development. That's why we always explain what we're doing so you can make your baby's first year a truly precious time of learning and sensory exploration. What makes Baby Sensory unique is that every activity has been carefully designed to stimulate your baby's senses and move development and learning forwards. And behind every Baby Sensory session, there's an incredibly detailed lesson plan backing up everything your baby touches, sees, hears, smells and feels! "I loved running Baby Sensory classes - seeing the babies learn and develop and my parents having so much fun. I believe that early education gives babies the very best chance in life: a head start that makes a real difference to future learning." Dr. Lin Day. Baby Sensory provides ideas for creative play, massage, tummy time, movement, and music in simple practical ways that can be easily repeated at home. 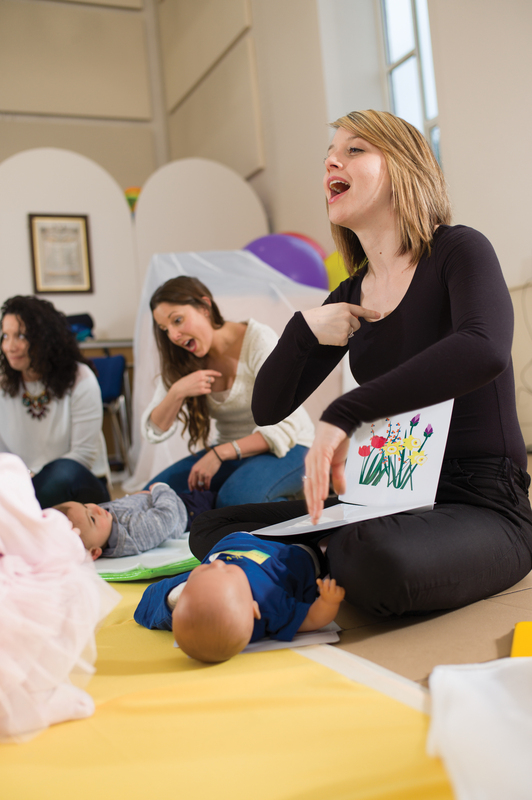 We also use a combination of original and traditional songs and rhymes to develop early speech and language skills, and sensory signing activities to help you and your baby communicate from birth. In our themed weeks, you and your baby will swirl through snow, laugh at the jungle jitters, explore a watery world undersea, join us on an animal adventure, watch the little ducks float by on their tummies, and marvel at the magic we have created! Every week is different and introduces new sensory development activities supported by useful information to help you interact with your baby and discover what he or she can do. There's always something new and exciting to look forward to! You'll always remember the moment your baby produces the very first 'Say Hello to the Sun' sign - our unique signature song played at the start of every session. "We love 'Say Hello to the Sun'. I sing it to my baby at home and he settles whenever he hears it!" Imogen Coleman. The most miraculous advances in your baby's brain structure occur in the first 3 months of life. During this period, an astonishing 2 million new brain cell connections are created every second. By the end of the first year, your baby's brain will have doubled in volume as a direct result of sensory learning from birth! "A sensory environment rich in sights, sounds, smells and textures promotes brain growth, increases the capacity for intellectual development and forms the foundation for all future learning." Dr. Lin Day. We want you to enjoy every second of this miraculous development. That's why everything we do has a purpose. For example, we've arranged the sensory area to match the distance your baby sees objects clearly, we've measured the decibel level of our instruments to ensure they are not too loud, and we soothe your baby at the end of the session by mimicking the sounds of the womb. If your baby needs to feed or sleep at any time during the session, then that's fine too! All you need to do is come along! 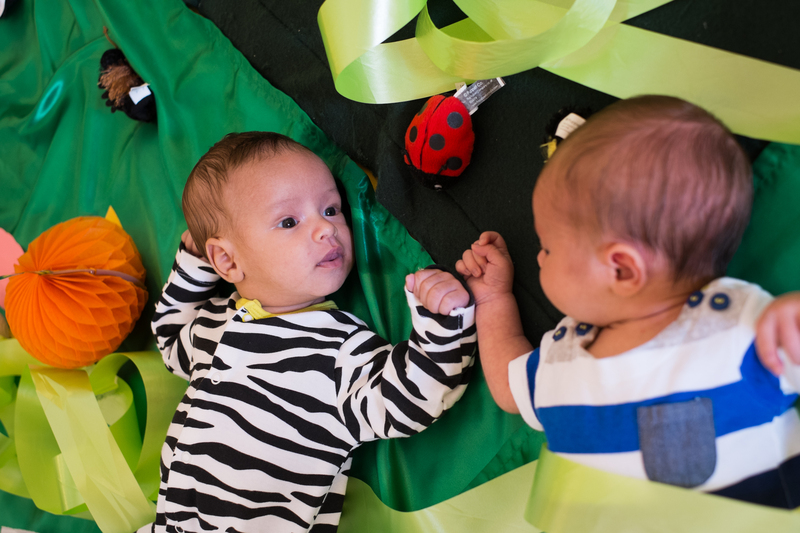 We've done the research so that you and your baby can spend time focusing on each other and having huge amounts of fun! "These classes are brilliant! We've seen puppet shows, bouncing balloons, sizzling sausages, wobbly jellies and we love it! It really is the highlight of our week!" Zoe. New friends made in classes and the wealth of sensory activities and information provide unforgettable memories for you and your baby. And when you're ready to move on to the next big adventure in your baby's life, there's Toddler Sense! We’re incredibly lucky to have exceptional Class Leaders. Many were originally parents who attended Baby Sensory with their own babies. Their total belief and commitment is the reason why we've been able to grow this brilliant concept and help babies reach their full potential. 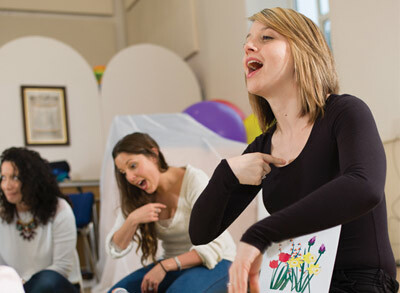 As well as experiencing classes personally, class leaders complete a rigorous one year training course, shadow existing teachers, and learn about the Baby Sensory philosophy and the research behind it. We’d love to introduce you to each team member directly, but with more than 400 Franchisees and class leaders, that would make a very long page! However, if you put your postcode in here, you’ll find out who runs Baby Sensory classes near you. We hope we've covered everything, but if you want to find out more, tune into a Baby Sensory session and discover sensory-bonding activities that you and your baby will enjoy together.